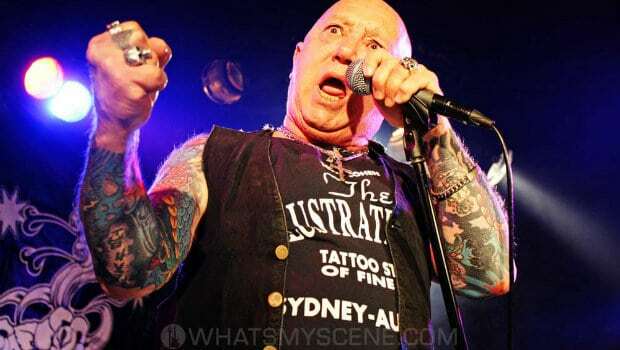 Celebrating their classic debut album, Rose Tattoo kicked off their Rock N’ Roll Outlaw 40th Anniversary tour in Melbourne at the Corner Hotel on Thursday 27 September 2018. The legendary Australian rock and roll band that plays street-level, heavy blues rock with an emphasis on slide guitar was inducted into the Australian Recording Industry Association (ARIA) Hall of Fame back in 2006. 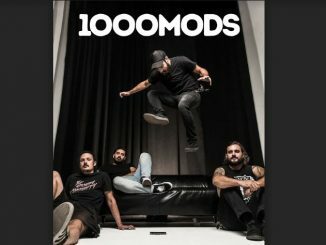 Led by vocalist Angry Anderson, the current lineup of the band includes Dai Pritchard on slide guitar, Bob Spencer (The Angels, Skyhooks, Choirboys) on guitar, Mark Evans (AC/DC) on bass, and Jackie Barnes (Tin Lids, Jimmy Barnes) on drums. The album was recorded at the famed Albert studios and was produced by Harry Vanda and George Young, who also worked with AC/DC. Tonight, the Tatts played the album in its entirety, including its anthemic songs Nice Boys (Don’t Play Rock ‘n’ Roll), Rock N’ Roll Outlaw, One Of The Boys, and Bad Boy For Love.